Medical experts from the Ministry of Health have found virus Coxsackie through testing residents in the northern province of Cao Bang’s Quang Lam Commune in Bao Lam District. From the test result, the Department of Preventive Medicine under the Ministry yesterday arrived at the conclusion saying the cause of the encephalitis outbreak which infected many kids. Deaths from encephalitis were also reported. 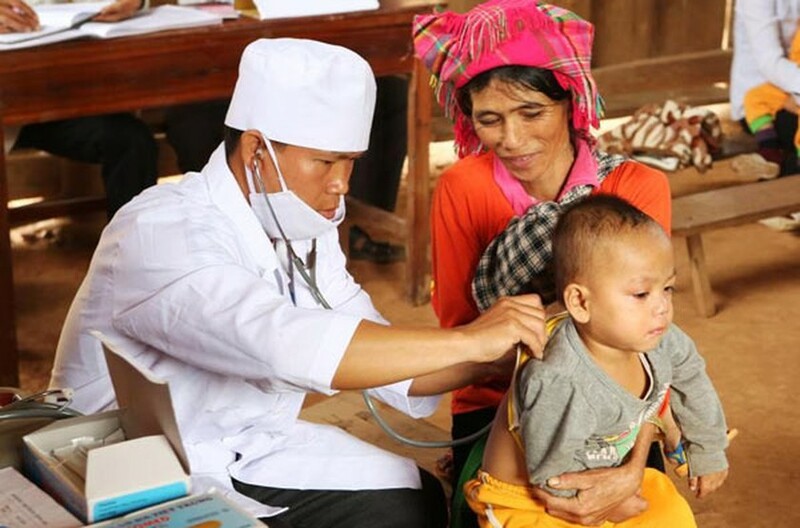 Head of the Department of Preventive Medicine Dr. Tran Dac Phu said that the commune had 21 infected kids and seven of them died of the disease. The first patient had the symptoms of the disease on April 20th and died in the next day at the province’s General Hospital in the northern province of Ha Giang. All dead kids are under six month old and experienced slight fever, cried, stopped breastfeeding, digestive problem, some had cough, breathing problem, and then convulsion fits, slept soundly and died. Patients died because the disease developed so fast and they were taken to medical facilities too late. At present, eight kids are being treated and one in serious condition. As of May 27th, no new case was reported . The National Institute of Hygiene and Epidemiology took 11 samples for test. Test results showed that no kids are positive for influenza virus yet two of samples are positive for virus Coxsackie A6 - digestive virus - which causes dangerous diseases including encephalitis, Myocarditis, hand-foot-and mouth, conjunctivitis. Kids are usually infected the virus all year round yet there is an increase of the disease in summer and most cases are in the north. Worse, there is no vaccine against the disease while the infection is transmitted through human to human direct contact with nasal and oral secretions or faecal contamination of the infected. Accordingly, to avoid infection of the virus, the Department of Preventive Medicine warned to separate ill kids to prevent transmission, increase personal hygiene and wash hand with soap regularly. People must eat boiled food and water, pay attention to food safety and hygiene. Adults and kids must be hospitalized if they experience fever and digestive problem.